Aside from being a journalist Edward has a love for acting. 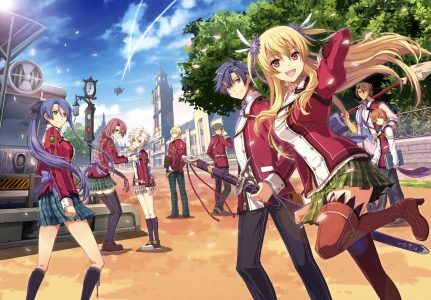 In this interview he answers a few questions regarding the popular JRPG The Legend of Heroes Trails of Cold Steel, and what drove him to become a journalist. Tell me about yourself and how did you get interested in acting? Edward Bosco: Well I’m from Chicago, Illinois and I’m a huge sports fan. It’s why you’ll almost always see me with some kind of sports jersey or t-shirt on. Over the last 5 years or so I’ve also gotten in to tabletop gaming a lot. D&D, Shadowrun, Warhammer all that stuff. As far as voice over, I fell in to it by accident. I never did theater. I never took an acting class. I had no business trying to do this for a living. However I figured out I had a knack for it by messing around online and I booked a role in my buddy’s first video game when I was interning at an LA production studio. 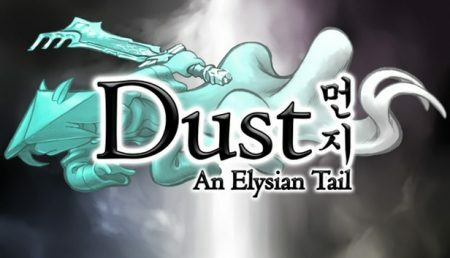 Fast forward a year and I got to work on a game called Dust: An Elysian Tail as both a casting assistant and as one of the main characters, Ahrah. From there I interned at Nickelodeon in their casting department to learn about the entertainment business and specifically the voice over aspect of it. I then moved out to LA with no clue about what I was doing and somehow I’m still here. What compelled you to become a journalist? Edward Bosco: It was my love of sports. I grew up playing sports and I never got past high school level sports because I was a skinny white guy who couldn’t jump, and everybody else was super athletic and talented. One of the cool things was I actually played in the same public school system that Quentin Richardson and Derrick Rose played in. I didn’t play with those guys- I was too young to play with Quentin and I was too old to play with Derrick, so I was in-between. The Chicago public school system is notoriously difficult because there’s just a lot of insane athletes, so I realized I wasn’t going to play in the NBA as much as I wanted to. Journalism was my way to still cover and talk about sports because I had a passion for it, and so I always thought if I went into journalism I could be a sports anchor on ESPN or I could do play by play for the Bulls or the Cubs or the Bears, or whatever the case may be. It was still fun being a part of sports even though I wasn’t athletically gifted enough to play them professionally. 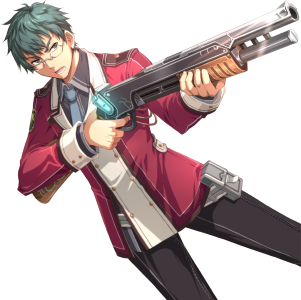 You brought to life Machias Regnitz in The Legend of Heroes Trails of Cold Steel 1&2. What did you like about his character? Edward Bosco: I like that he was a kid that had influences from both sides of the world. He grew up as a nobleman, but he absolutely despised what they stood for, and the way that society kind of controlled everything with money. So he always had this negative opinion of nobles even though his family background and his upbringing was one of nobility. He was self-loathing and I loved being able to play his evolution and watching him overcome that bias. He was also kind of misogynistic. So he had a lot of flaws when the game started, a LOT of flaws and to watch it kind of evolve throughout the two games, especially his relationship with Jusis (voiced by Ben Diskin) since he’s also a noble. In real life we’re actually really good friends and we tease each other all the time, so it was funny when we were recording. It was very easy for us to be jerks to each other. Sean Chiplock (Who voiced Rean) mentioned that Brittany Avery knew exactly who she wanted to voice each character. Was it the same case when it came to you? Edward Bosco: She definitely liked the idea of me playing Machias but it’s hard to really know how well someone is going to fit into a role until you get them into a booth and actually hear them do it. But yeah Brittany is incredible. Let me just talk about Brittany for a bit. Brittany knows everything about not just the Trails series but that entire Legend of Heroes arc. There’s like seven games. She knows literally every single detail, and I can’t tell you how amazing that is. A lot of producers will know about the game that they’re working on, but the fact that she knows that this side character in the third game is going to come back in the seventh game as this big boss helps her be able to cast knowing who’s coming back, who’s going to have a big role, who’s just a side character, who’s just an extra. She really does go through every character and has an idea of who she wants in every role. So she does her homework. She listens to a lot of demos, she keeps up with voice actors and what they do and what they’re known for. Brittany is absolutely the kind of person that knew exactly who she wanted in every single role and made it happen. Machias and Jusis at each other’s throats. Did you have any idea about the Trails series? 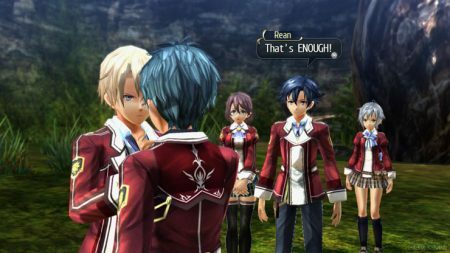 The PC version of The Legend of Heroes Trails of Cold Steel 2 was released on Valentine’s Day, so what was it like to go back and voice more lines for the game? Edward Bosco: It was a lot of fun because anytime you get to go back and re-visit a character it’s a blast. There’s that excitement of seeing where the character goes next and I love working with Brittany and Valerie Arem over at PCB Productions which is where we dubbed the game. Val is an amazing director and we just had a lot of fun recording stuff. Why do you think people lean towards games like the Trails series? Edward Bosco: Typically it’s because you can relate to the characters and enjoy the gameplay. I think that’s why anybody leans towards any game. Yeah, it’s fun to play and fun to sit down and experience the story but when you find a character you can relate to and it speaks to you and it has a background where you’re like: “Oh! I know exactly what that’s like!” It kind of stands out in your mind. I think if you ask a lot of people why it’s their favorite games it’s because they’ll have situations like that where something in the game just spoke to them. And honestly the most fun thing that I looked forward to in every session were the notes that Brittany would put in the column on the side of a line that basically gives you an idea of what’s going on. So for example, this line is said like you are trying to solve a Scooby- Doo mystery! So she’ll have these nuggets of goofy things that explain what’s going on, or what your motivation is. Hey! I'm Nadia! I am a big fan of RPGs and you can almost always catch me playing one in my spare time. Writing is my passion, and my intention is that you all learn something through my work!